This was the first launch in 2018, and the 417th launch overall of the Proton launch vehicle (including all its modifications starting in 1965). The Proton launch vehicle and the Breeze M upper stage were developed and are manufactured at the Khrunichev State Research and Production Space Center, a part of the Roscosmos State Corporation. The Proton M launch vehicle is an enhanced variant of the Proton heavy-lift booster incorporating improved operational, performance and environmental characteristics. The Proton M launch vehicle in combination with the Breeze M upper stage is capable of delivering payloads weighing over 6 metric tons into geostationary transfer orbit. Currently, the Proton M launch vehicle with the Breeze M upper stage is Russia’s main heavy-lift workhorse to launch unmanned spacecraft into near-earth orbits as well as escape trajectories in support of federal and commercial missions. 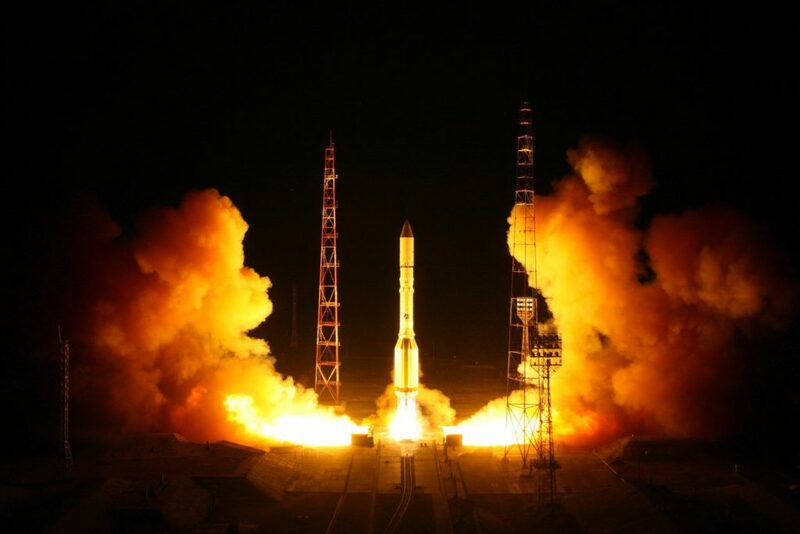 Russia’s orbital satellite constellations that provide communications services across Russian regions – GLONASS and EXPRESS – are replenished and deployed with the help of the Proton M launch vehicle. The Proton launch vehicle is also used to deliver space modules to the Russian segment of the ISS. The maiden launch of the Proton M launch vehicle with the Breeze M upper stage was used to inject a commercial payload (Nimiq 2) back in early 2002. Since then more than 70 commercial spacecraft have been delivered into orbit with the help of the Proton M launch vehicle. Joint Stock Company Khrunichev State Research and Production Space Center (Khrunichev Space Center is a part of the Roscosmos State Corporation) is the developer and manufacturer of the Proton launch vehicle, Breeze M upper stage and the Angara launch vehicle family. Khrunichev’s affiliates include a number of key component and subsystem manufacturers that are located both in Moscow and in other cities of the Russian Federation. The Khrunichev Space Center is the owner of the majority stake at ILS International Launch Services, Inc. with its headquarters located in Reston, Virginia (for more information about ILS please visit http://www.ilslaunch.com). ILS possesses exclusive rights to market and operate the Proton launch vehicle in the commercial market. For more information about Khrunichev, please visit website at http://www.khrunichev.ru.